Americans consistently name Republicans as the party better at handling issues like national security and crime, while they trust Democrats on issues like education and the environment - a phenomenon called "issue ownership." 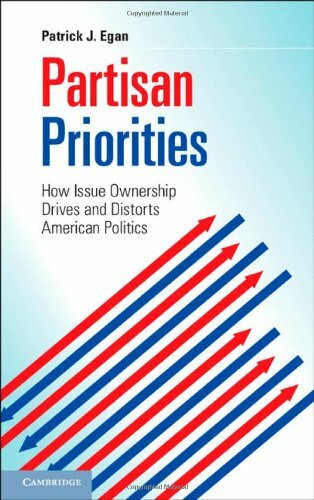 Partisan Priorities investigates the origins of issue ownership, showing that in fact the parties deliver neither superior performance nor popular policies on the issues they "own." Rather, Patrick J. Egan finds that Republicans and Democrats simply prioritize their owned issues with lawmaking and government spending when they are in power. Since the parties tend to be particularly ideologically rigid on the issues they own, politicians actually tend to ignore citizens' preferences when crafting policy on these issues. Thus, issue ownership distorts the relationship between citizens' preferences and public policies. Americans consistently name Republicans as the party better at handling issues like national security and crime, while they trust Democrats on issues like education and the environment - a phenomenon called "issue ownership." 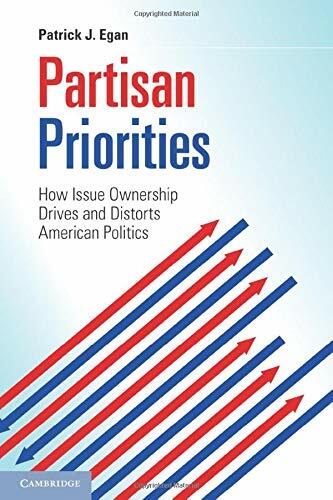 Partisan Priorities investigates the origins and consequences of issue ownership, showing that in fact the parties deliver neither superior performance nor popular policies on the issues they "own." Patrick J. Egan is Assistant Professor of Politics and Public Policy at New York University. He is co-editor of Public Opinion and Constitutional Controversy (with Nathaniel Persily and Jack Citrin, 2008). Partisan Priorities is based on his dissertation, which won the Carl Albert Award for best dissertation in legislative studies from the Legislative Studies Section of the American Political Science Association. In 2012, Professor Egan won the NYU Golden Dozen Award in recognition for his outstanding contribution to learning in the classroom. Before entering academia, he served as an Assistant Deputy Mayor of Policy and Planning in the office of Philadelphia mayor Edward Rendell.